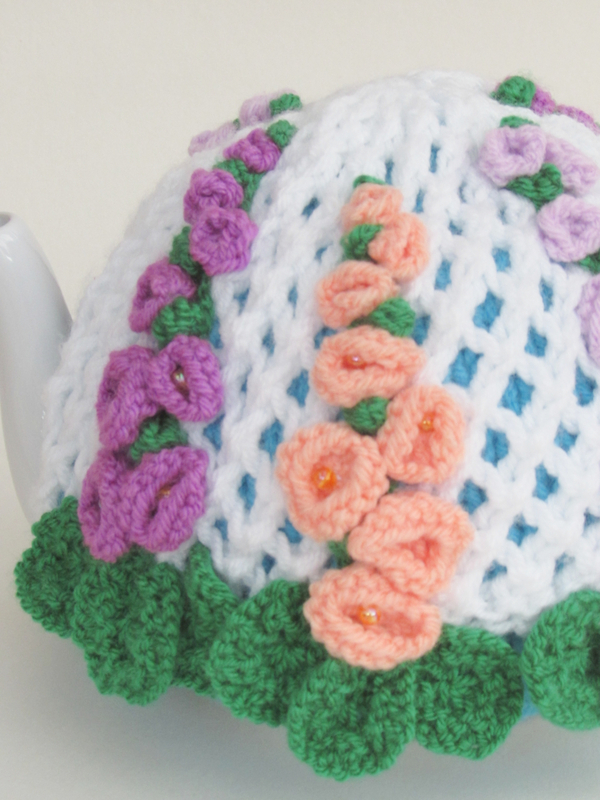 What do you do if you want a hot brew, in an english country garden? 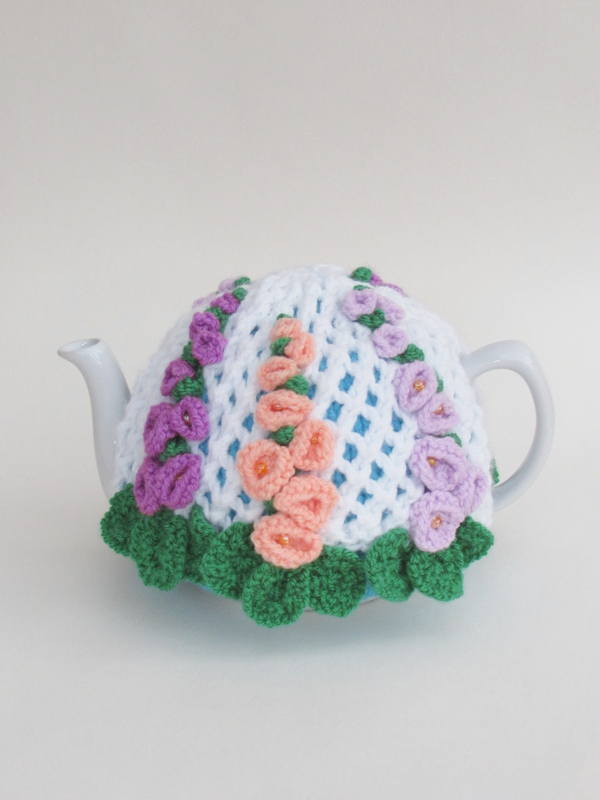 I love Hollyhock flowers, they are so tall and blousey and make me think of old fashioned cottage gardens. 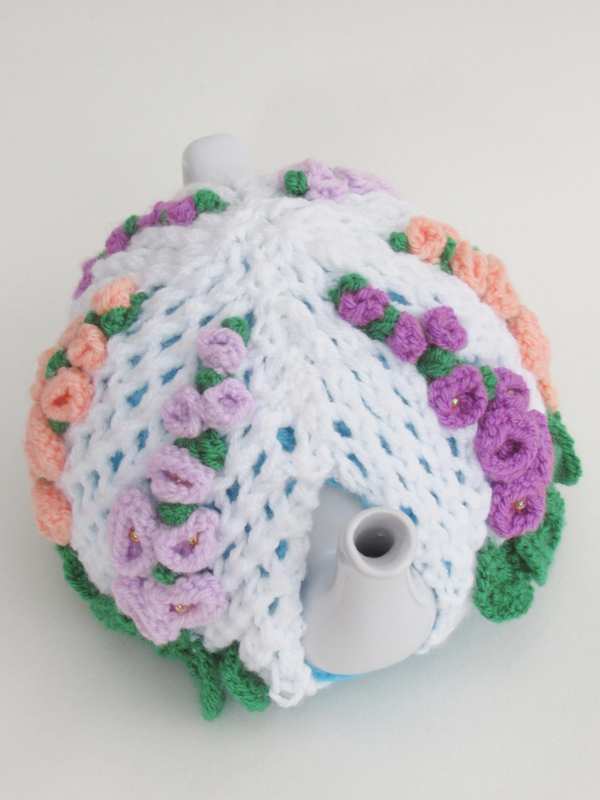 I didn't want the tea cosy to look oldie worldie just because it was floral oriented, so I have used a white trellis effect to give the Hollyhocks a modern twist. 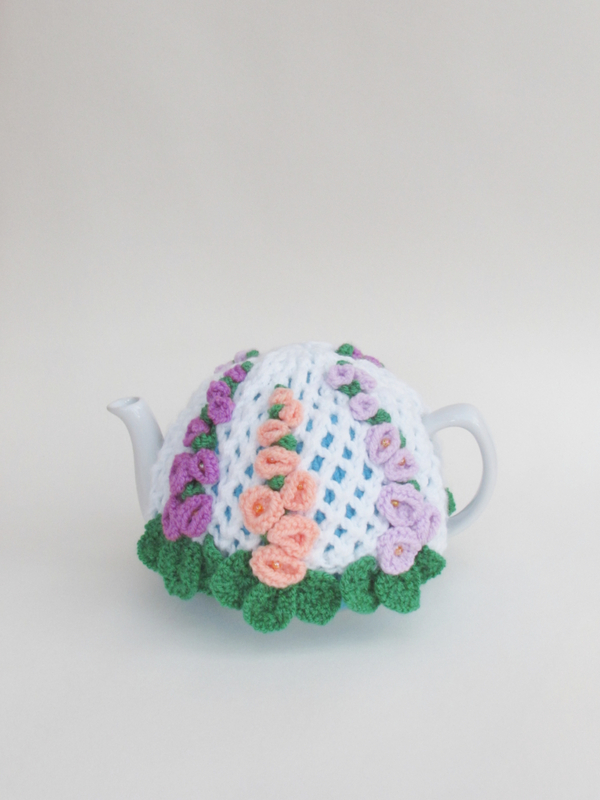 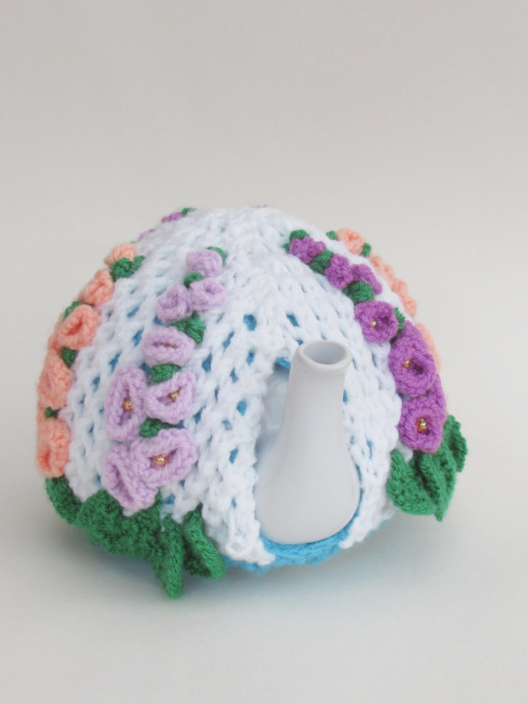 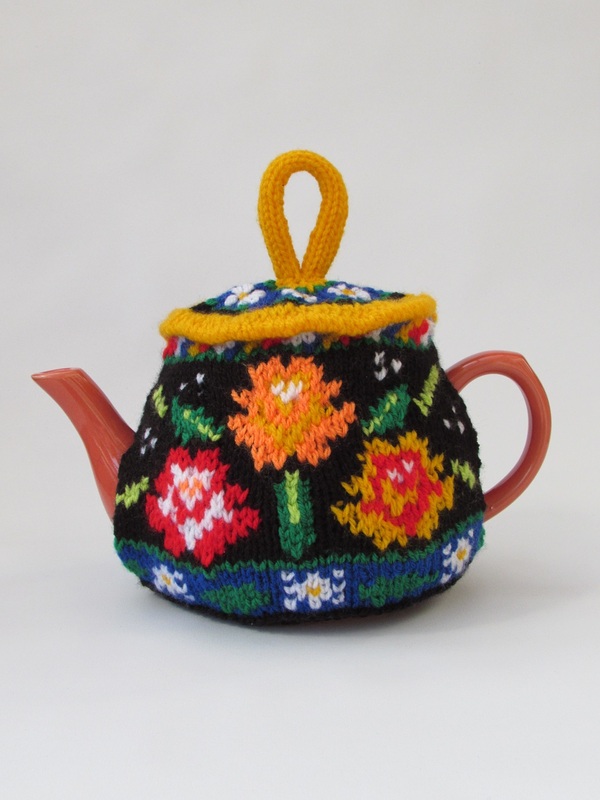 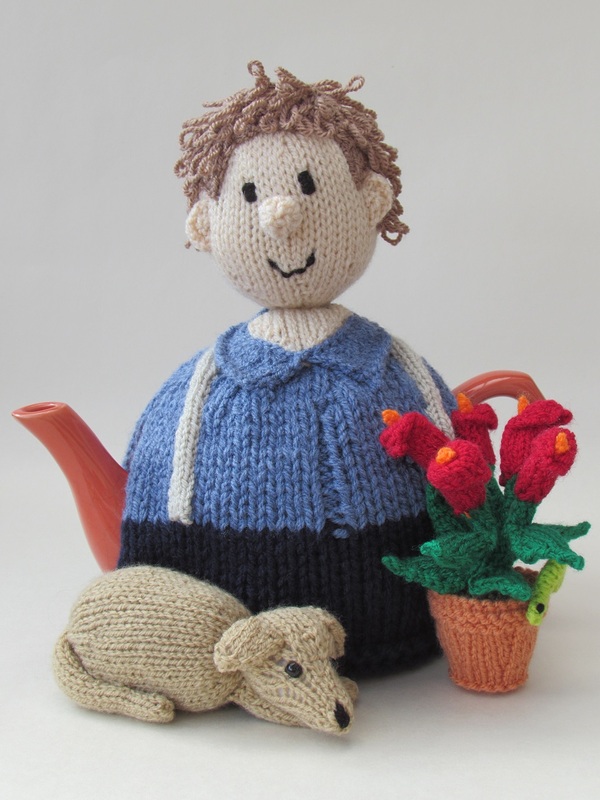 The Hollyhock tea cosy is perfect for stash busting, each stem of flowers could be any colour you like, or any colour that your small left over balls of yarn dictate. 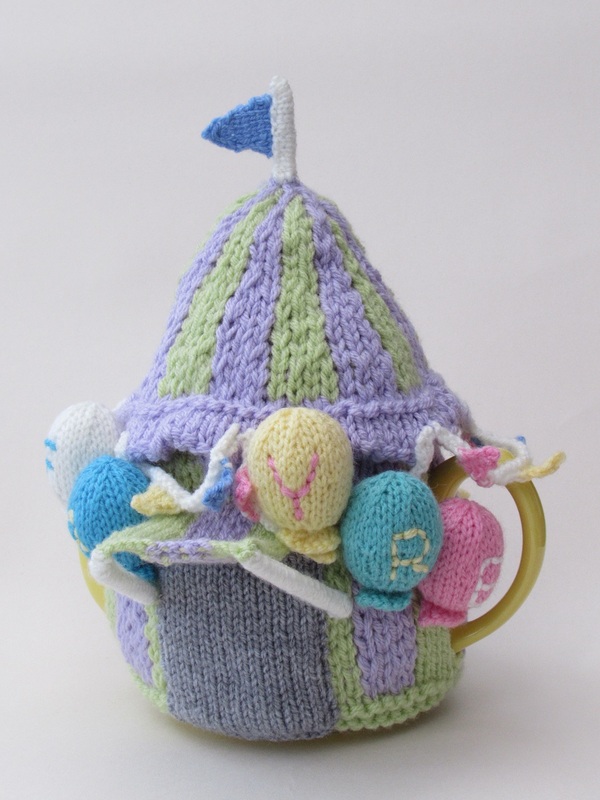 Or you could choose colours that compliment a particular room or garden, or your shades of your favourite colour maybe? 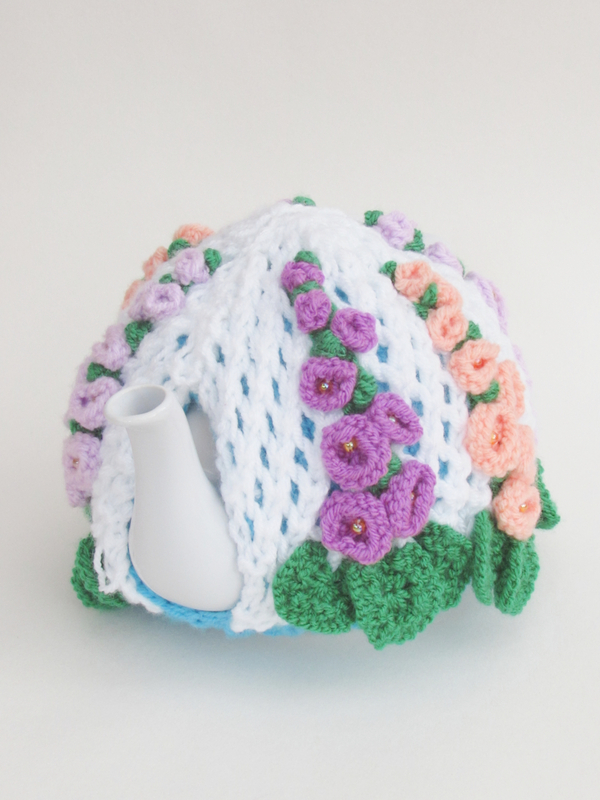 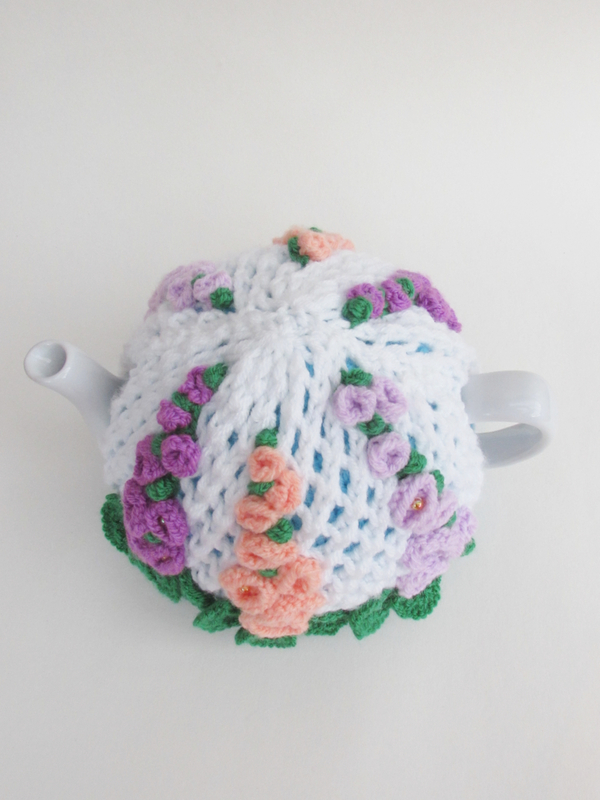 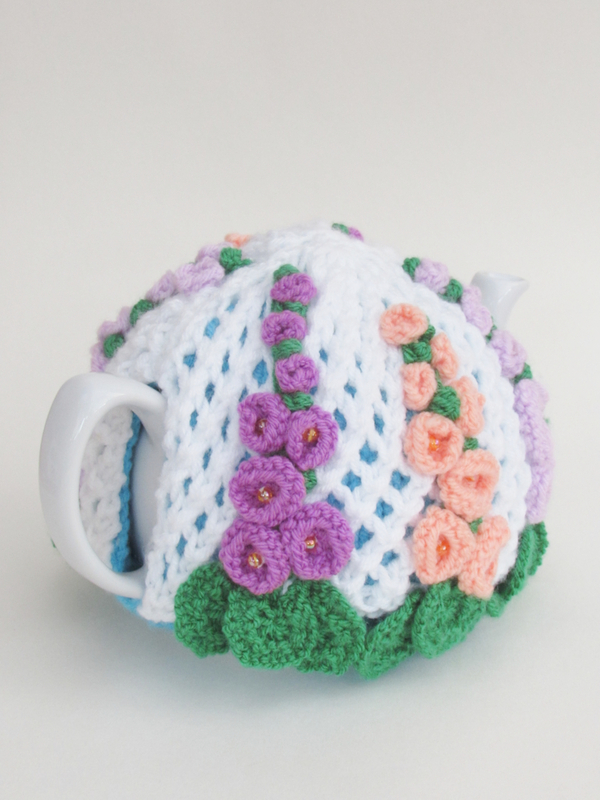 The Hollyhock tea cosy feels really summery, the Hollyhock flowers open around July in the middle of the summer. 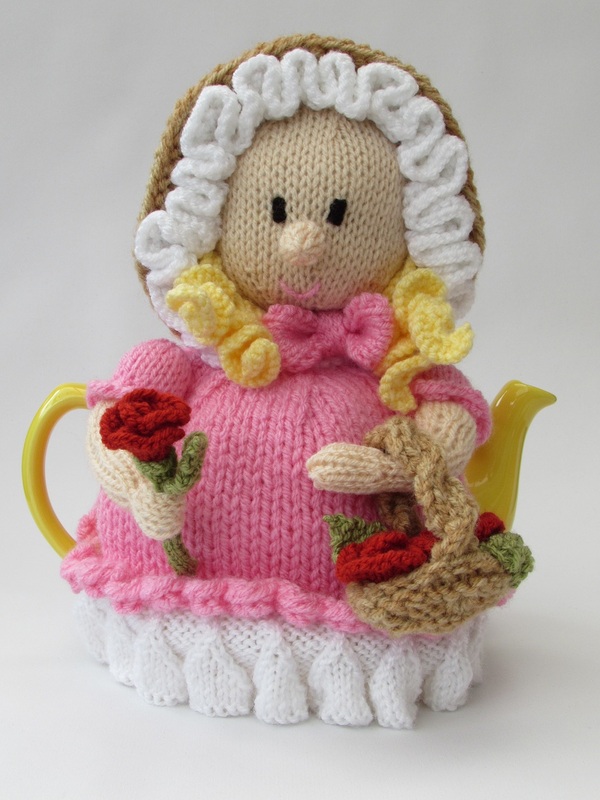 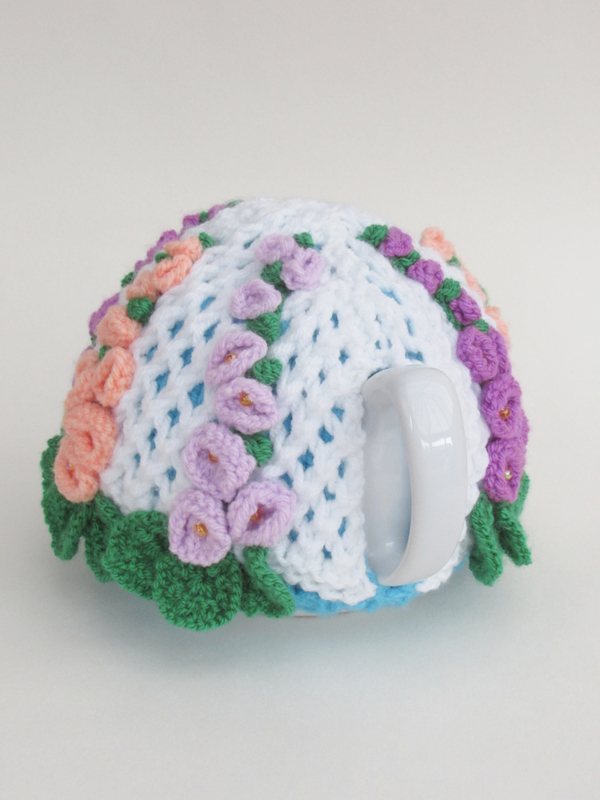 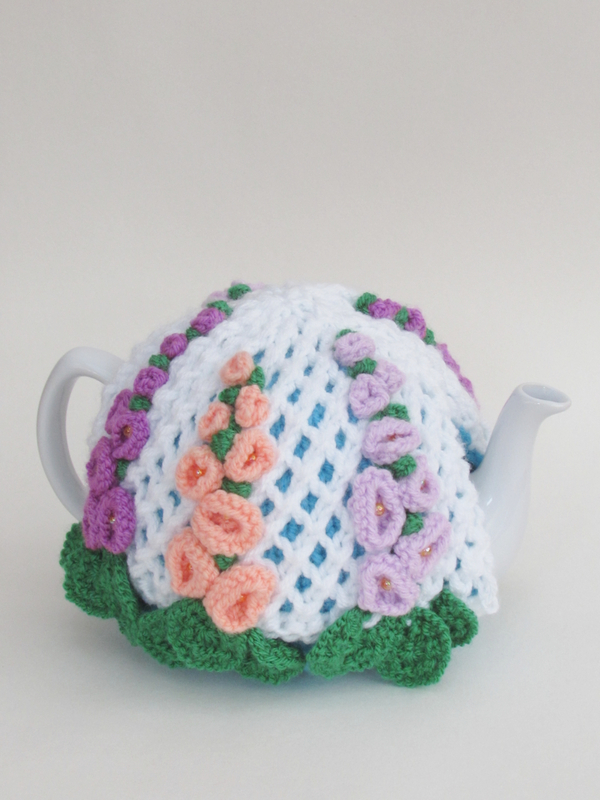 The tea cosy is really easy to make because a lot of the components are repeat, but it looks so effective. 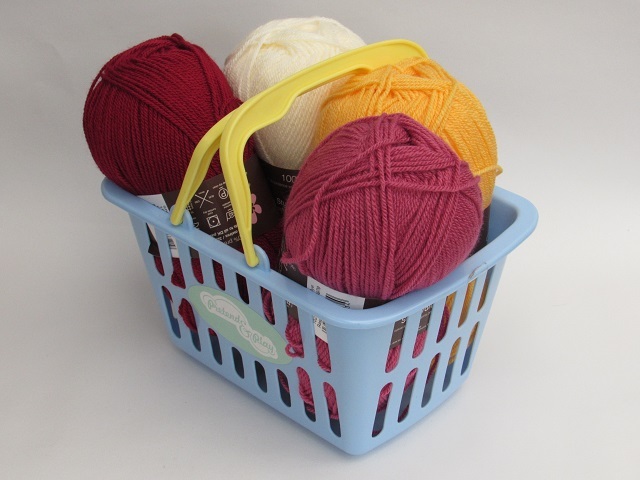 Small amount of Stylecraft Special DK sunshine or 30X 5mm yellow beads.